This one has been a real challenge. As Gary and I come up with the characters in our story I sometimes dread the time when I'll probably have to make a Lego version of them. Such was the case with Lillian and Gillian the co-joined twins in issue 6 of WesterNoir. I had to make them in such a way as not to scare the children (and an earlier version looked like something from The Thing) who love looking at the Lego characters at Conventions. Hopefully what I ended up with is OK, I guess we'll find out. Lillian and Gillian are very strong and very central characters, the daughters of an even more central character... I'll say no more for now. 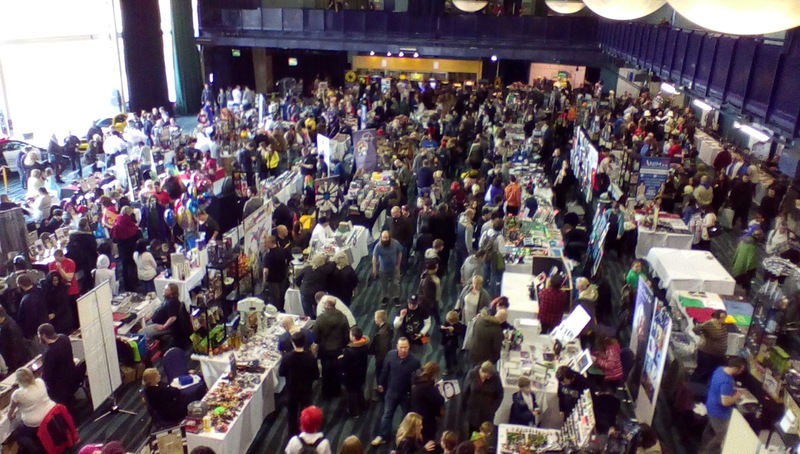 There are a number of little Comic Cons taking place in towns around the North West of England, and we worried that we might be missing out on opportunities to get our comics into the hands of new customers. 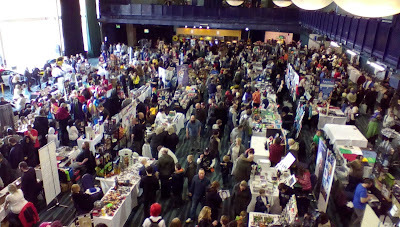 With this in mind we decided to try out the Bolton Comic Con. It's not too far away, it's at an easy to find venue (the Bolton Wanderers Football Ground), the parking is free and close to the hall and it quotes decent attendance numbers. We arrived in plenty of time for doors opening, as always, and were set up in time to wander around the hall and get a feel for the event before the punters were allowed in. It felt a bit like an MCM, although on a much smaller scale, and more 'fragmented'. There was no Comic Village pulling all the comic stalls together. In fact you could count the comic stalls on the fingers of one hand. That could work for us or against us. We were a little dismayed when the doors opened at 11am. There weren't many people in the hall. It felt empty in fact. The nice people on the stall next to us explained things though. This was the Early Pass holders, the masses would follow. 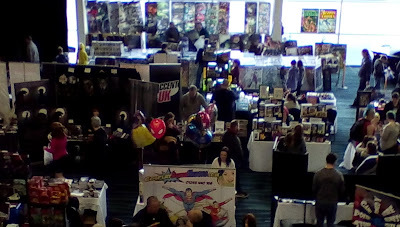 The strange thing was though that despite the numbers, people weren't really interested in looking at comics. It was mostly young families wanting to experience the Cosplay and look at the toys. Mr. Fudge did a roaring trade, and we sampled some of his cakes... which were very good, but sadly we didn't. So, as the day went on we realized it wasn't a show for independent comics, and it probably wasn't a show for comics in general. It was a great show for families to wander around and enjoy the spectacle. We did sell some books and we made a great connection to the Gamer 2 comic and game shop, but it's unlikely we'll do another as our calendar is pretty full as it is. It was also very nice to meet Natalie Gosney selling her interesting looking werewolf books, she very kindly gave me a copy of Wolf Born which I look forward to reading over the summer. DemonCon 11... first Con of the year. 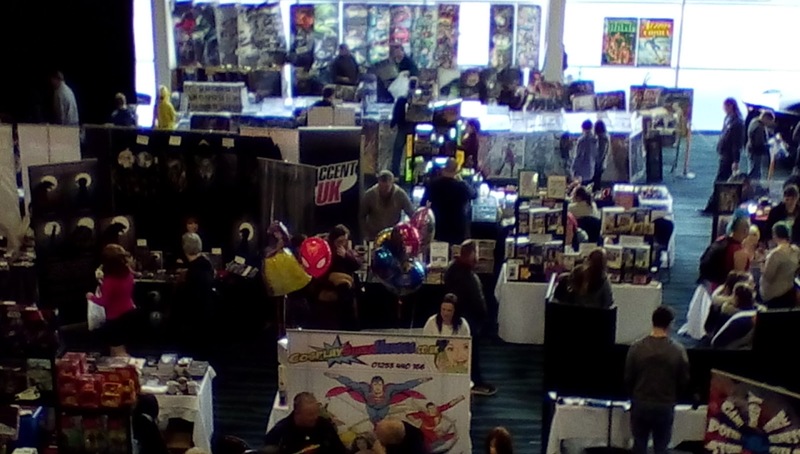 It's become a bit of a tradition that Accent UK start their convention season with a trip down south, and via a number of motorways end up in Maidstone for the Demon Con event run by the local Grinning Demon store. It's a small event when compared to the MCMs and SuperCons but it is great fun and actually we do OK sales-wise too. This year, as with previous years, me and Gary Crutchley were the Accent UK team, which we like to call the A-Team. 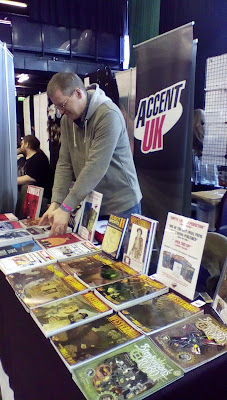 Armed with a good selection of stock, including the newly printed Tales Of WesterNoir #2, we were set up by 10.30 and had time to wander around the event before the doors opened to a decent sized crowd at 11am. We took the customized Lego with us again as this tends to interest the kids but left the Standees at home as the table was quite busy and last year were forever knocking them over. The were actually very few points in the day when we had nobody in front of the stall. It would be interesting to know how the percentage of 'idle' time at this show compared with the MCMs, I think favourably would be the answer. One young lad picked up a copy of Stephenson's Robot only to come dashing back less than 10 minutes later for issue 2. 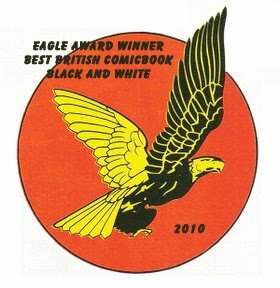 He admitted that he hadn't finished reading issue 1 yet but said that he loved the artwork and didn't want to miss getting the next comic, which is all you can ask really in terms of feedback. WesterNoir continues to sell really well. The sketchpacks of 'Season 1' flew off the table but we also had a number of customers returning for more after picking up some issues last year. We'd almost hit last years total by lunch time and sales continued into the afternoon. I also caught up with someone who had been so inspired by our discussion over my customized Lego figures last year, and his superpower that enables him to tell which figure is in which MiniFig bag, that he had his own stall and now sell Lego MiniFigs. I picked up a couple for future modification. 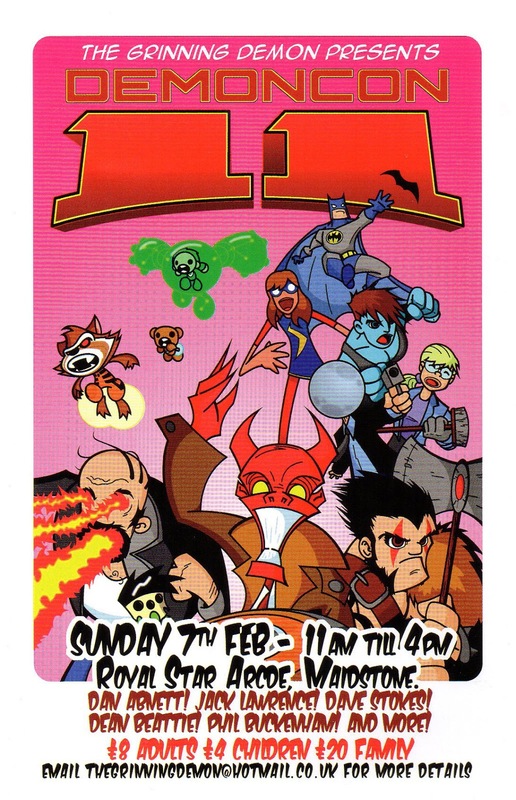 I had time to catch up with Dean Beattie who does a great comic called Random Trials (and the Con poster above) and share views on the comic book convention scene, and then it was time to stop. We had a really great day. We talked about our books with a lot of the people of Kent. We talked Lego and had fun with families trying to link figure with comic book. We talked SteamPunk (and the new conventions in Kent (find out more by emailing GreatKentSpectations@hotmail.co.uk)). We even had time for Earl Grey Tea and a toasted sandwich.